NIU’s Department of Kinesiology and Physical Education (KNPE) will launch a bachelor’s degree in Sport Management next fall. 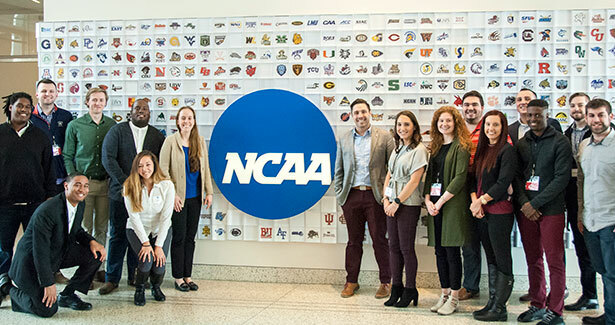 The new program capitalizes on the department’s rich heritage of preparing graduate students for careers in the thriving sport industry, which includes all of Chicago’s major professional teams and other pro baseball, basketball, football and hockey clubs across the country. It also complements the minor in Sport Sales – the only program of its kind in the United States – and builds on a relationship with the Department of Marketing in the NIU College of Business. Adding the degree also positions NIU over key in-state competitors such as Illinois State University, Western Illinois University, Northwestern University and DePaul University, all of which only offer Sport Management at the master’s level. Chad McEvoy, chair of the department, and Steve Howell, an associate professor of Sport Management, are eager and excited to begin enrolling students as the culminating moment of more than two years of program development. Enrollment projections forecast 50 students in the program next fall and 200 majors within five years. “We’ve successfully offered a Sport Management degree for more than 20 years, and we also see an opportunity to similarly help undergraduates to learn more about, develop skills and experiences in and pursue their passions for working in the sport industry,” McEvoy says. Demand for the program already exists, Howell says, and the department already has proven its ability of attracting highly qualified students who go on to distinguished careers. KNPE academic advisors and NIU admissions counselors likewise field frequent inquiries about a B.S. 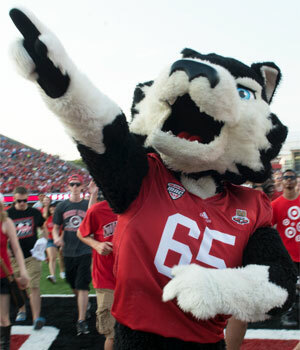 in Sport Management; those prospective students now have one more reason to become Huskies. Market analysis also yielded compelling evidence for the program, which secured Illinois Board of Higher Education approval this summer. 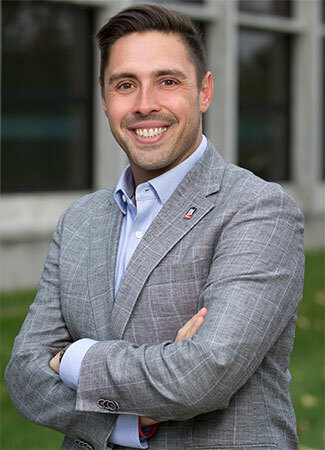 Existing bachelor’s degree programs in Sport Management across northern Illinois are at smaller, private schools; the reputation of their faculty cannot match that of NIU’s Sport Management team, which including McEvoy, Howell, Rodney Caughron and Claire Zvosec. Job growth in the sport industry, meanwhile, generally ranges between 6 and 10 percent, according to the U.S. Bureau of Labor Statistics. Yet some sectors, such as sports analytics, are expected to climb by 27 percent. The bureau also ranks Illinois as third among the 50 states for its concentration of employment in sports and entertainment. Courses in the program include Psychological Aspects of Sport and Exercise, Social Aspects of Sport, Sport Sales and Sponsorship, Sport Event and Facility Management, Legal and Ethical Aspects of Sport, Promotion and Marketing of Sport Programs and Finance in the Sport Industry. An internship also is required. Given the amount of national competition in Sport Management programs – U.S. colleges and universities offer more than 300 such degrees – NIU’s faculty consciously ensured that theirs boasts key differentiators. in Indianapolis during an Engage U.S. trip last spring. One is the proximity to Chicago and the professional connections of the faculty. Another is the hands-on learning experiences available with NIU Intercollegiate Athletics, regional sport corporations and the College of Education’s Engage U.S. program. Chief among the unique aspects, however, is the minor in Sports Sales. More job opportunities exist in sport sales than in any other area of the sports industry, McEvoy says. Students in the minor will take half of their classes in KNPE and the rest in the Department of Marketing, which is nationally renowned for its Professional Sales Program. KNPE also is building on the creation of the new bachelor’s degree to launch a minor in Sports Management open to students across the NIU campus. 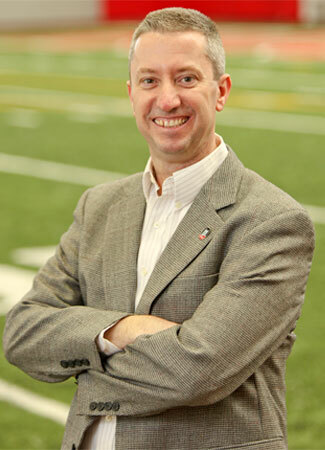 “This will be an opportunity for students in other majors – it could be Kinesiology or Business or Communications or Economics, for example – to take some coursework in Sport Management,” McEvoy says. For more information on the new B.S. in Sport Management, call (815) 753-1157 or email showell2@niu.edu.